Stay fit while you're on holiday! Sign up now for Easter Holidays 2019! Being on holidays doesn't mean you let it all go. Sticking to your health & fitness routine is even more important when you're away so you can return home feeling rested and rejuvenated. 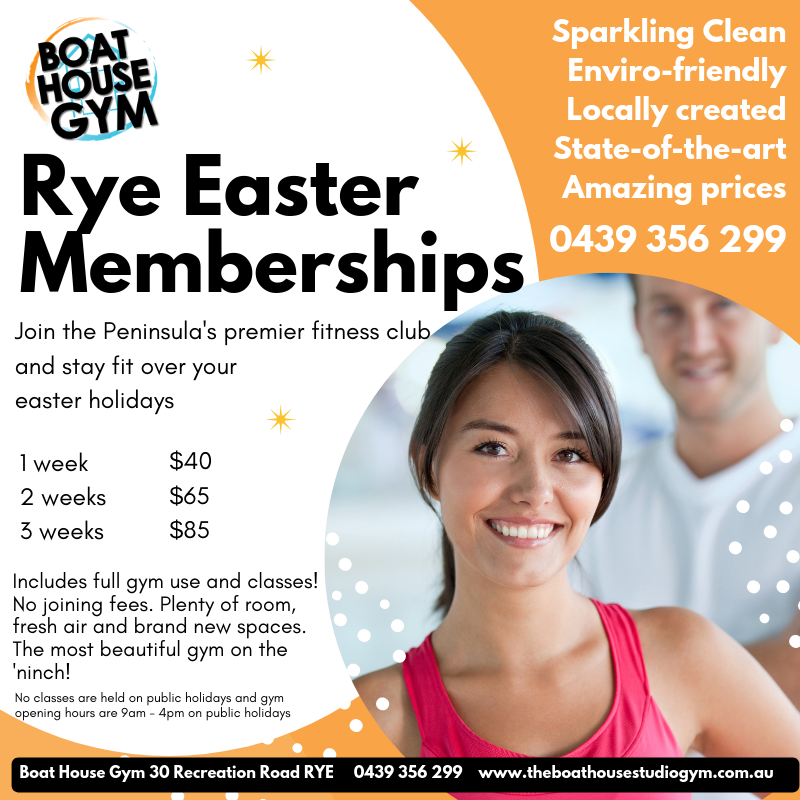 Join us at the Boat House Gym and we'll make sure you head home feeling on top of the world! Please note that on public holidays no classes are held, and the gym opens from 9am until 4pm.